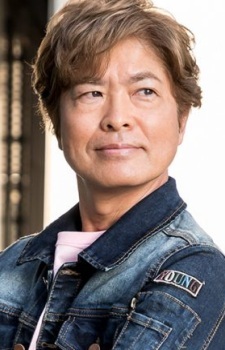 Toru Furuya is a veteran narrator and seiyuu (voice actor) born on July 31, 1953 in Yokohama, Kanagawa Prefecture, Japan. As a child, he was a member of Himawari Theatre Group, a children's acting troupe. He is employed by the talent management firm Aoni Production. He was a best friend of the late Hirotaka Suzuoki. He is most known for the roles of Amuro Ray (Mobile Suit Gundam), Hyouma Hoshi (Kyojin no Hoshi), Pegasus Seiya (Saint Seiya), Yamcha (Dragon Ball), Kyosuke Kasuga (Kimagure Orange Road), and Mamoru Chiba/Tuxedo Mask (Sailor Moon). Using pseudonym Noboru Sougetsu in the Mobile Suit Gundam 00 credits in his role as Ribbons Almark. Just found out that he is Mewtwo in Detective Pikachu movie japanese dub. Very wonderful as Hong King film of Yuan the kung fu family the official Japanese dub. ...for now, at least, I'm going to have to take the plunge into UC at some point - and at the very least I know Amuro by reputation, right? Probably my favorite role Furuya's done so far is Seiya from Saint Seiya (that character gets overhated), Seiya is to him as Usagi/Sailor Moon is to Kotono Mitsuishi. This is the guy who was lead in all the epochal shows, but never roles that pp remember most, some even hate. Like Yamcha. Like Amuro. Like Tuxedo Mask omg.